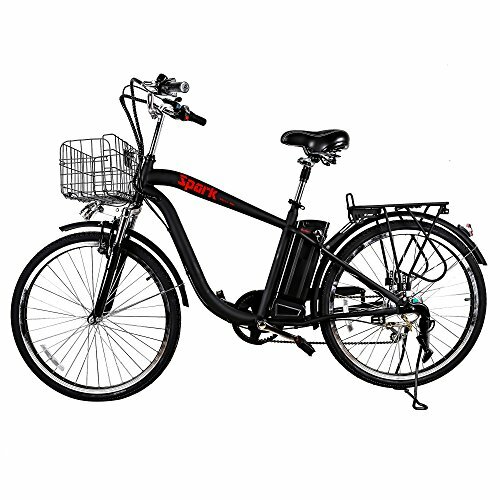 As a bike rider, want to have a confortable seat, this ebike maybe helpful. Maybe a white one is more elegant. 3 of the 6 reviewers have written multiple reviews but posted all of them on a single day. This is an excessively large percentage of Single-Day Reviewers which may indicate unnatural reviews. We counted 6 reviews for this product over the span of 44 days, an average of 0.1 reviews per day. If these reviews were created randomly, there would be a 99.9% chance that we would see 2 or fewer reviews on any given day. 2 of the 6 total reviews for this product use substantial repetitive phrases between them. This is an excessively large percentage which may indicate unnatural reviews.